Reliance Jio is now on another way, after offering unlimited 4G data, voice and SMS service under its Preview offer. The new and exciting news is that Reliance Jio is going to offer it's unlimited 4G preview for 1 year validity with LYF phone. Initially Reliance had released its 4G preview offer with LYF phone only and later on the preview offer was expanded with Samsung mobiles. Currently the Jio preview offer is been available with Samsung, LG, Panasonic, YU, Micromax handset. 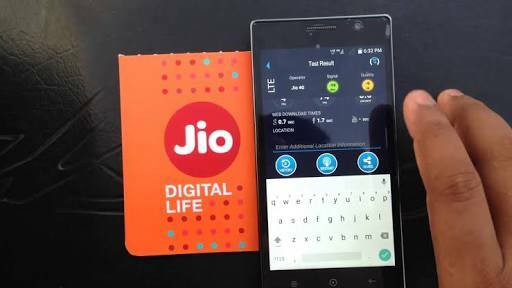 Recently, the Reliance Digital stores across the country also started providing Jio SIM cards under the preview offer to any users with 4G smartphones. That said, still now some Reliance stores are denying to offer SIM cards for any random 4G smartphoneciting lack of information from their head office. According to the sources, the users will not get free voice calls and SMS. Whatsapp, which is seen as an SMS replacement is also being used for regular voice calls as its has a huge user base in India. Since providing unlimited 4G internet free for a year is a huge deal, the company might put a cap of 75GB per month. Unlike any other Indian service provider, Jio is offering pan-India coverage of its 4G network. Once the deal is made official, Reliance will see a huge increase in the sales of LYF smartphones along with the increase in Jio 4G subscribers. Reliance Lyf series of smartphones are being offered in a wide range of prices starting from as low as Rs 2,999 to as high as Rs 20,000. The Lyf smartphones are being offered through a number of local retails shops as well Reliance Digital and Digital Xpress Mini stores across India.